Learn to Keep Your ChnLove Account Safe! If your Chnlove account has been hacked, it would be very troublesome, both for you and the beautiful Chinese women you’ve been keeping contact, or the money you have spent in your account. Here are some simple practices that will help to prevent that from happening. 1.Talk to your internet service provider about spam filtering or, alternatively, purchase spam-filtering software. 2.Install software that protects your computer from viruses and unwanted programs and make sure it is kept up-to-date. Beware of free websites and downloads (such as music, adult sites, games and movies). They may install harmful programs without you knowing. 3.Do not use software on your computer that auto-completes online forms. This can give internet scammers easy access to your personal and credit card details. 4.Try to avoid using public computers (at libraries or internet cafes) to do your internet banking, which may easily lead to banking information leakage. 1.When you bookmark the URL for Chnlove, be sure to use HTTPS instead of HTTP. This encrypts your communications. 2.To protect the email address you use for Chnlove account is most critical. If that is the same email used on your more secure accounts, now that vulnerability could be costly. Obviously, if you are selective with your email addresses and periodically change your passwords, you minimize your chances of being hacked. 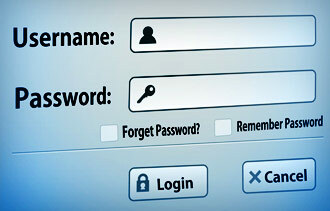 3.The safe bet is to use distinct passwords for your public and private email addresses. Choose passwords that would be difficult for anyone else to guess. What to do if your account has been hacked? 1.Once your Chnlove account has been hacked unfortunately, change your password immediately and report your situation to Chnlove support team, they may offer some help to keep your account from further access by hackers. 2.Chnlove would send you notification mails when you receive EMF mails or Admirer mails from your Chinese ladies. Once your account has been hacked, disable these mails immediately to probably prevent further access to your account from hackers, who may sign in your account via links within these mails. There are even more ways to protect your Chnlove account, but these mentioned above are the most essential. All in all, be cautious to protect your computer and your personal email address which you use to sign in Chnlove.